Our steel double plug socket USB* is super cool. Not only is it a great looking wall socket, it earns its keep in usefulness too. How many things in life can you say that about? A double plug socket that also doubles as a charger for your devices. Our steel double plug socket USB is one perfectly understated wall socket – its surface is slick brushed steel – the ultimate finish for an industrial interior. AND it’s got an inbuilt USB port so you don’t need to unplug the TV to charge your iPhone anymore. Winner. This steel double plug socket with USB port has been exclusively designed by us here at Dowsing & Reynolds HQ. 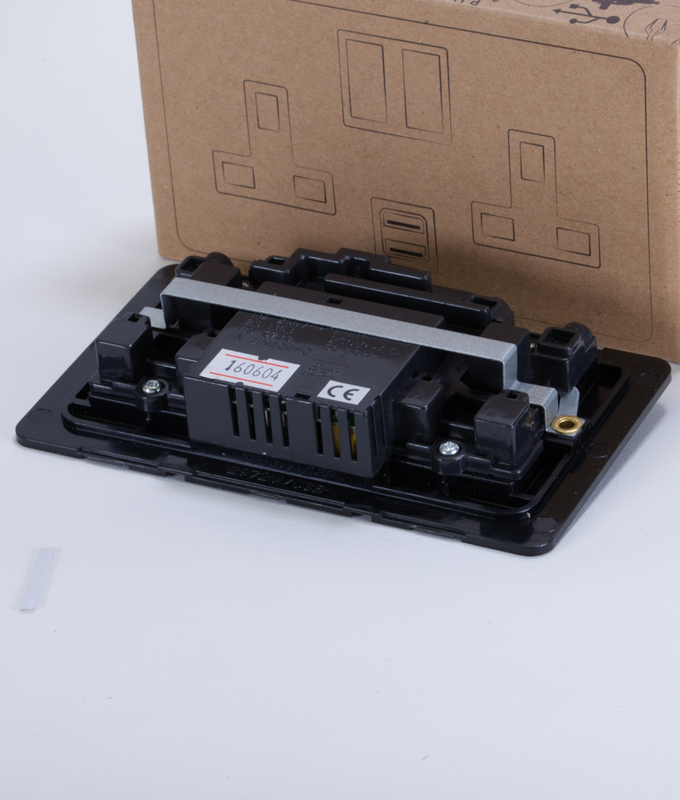 Only we sell it online so if having something a bit different to everyone else floats your boat then give this amazing socket a chance. We’re so confident that you won’t be disappointed that if on the off-chance you are, just return it to us free of charge, and we’ll refund your money. Can’t say fairer that that.